Janeane Garofalo has been a ground-breaking performer since she burst on the scene in 1992. The actress and comedienne will perform at Comedy Works Downtown in Larimer Square at 7:30 p.m. Jan. 8 and at 7:40 and 9:45 p.m. Jan. 9. Tickets are available at www.comedyworks.com or by calling 303-595-3637. Garofalo has had many memorable and critically acclaimed roles in films such as” The Truth About Cats and Dogs,” “Wet Hot American Summer,” “Ratatouille,” “Reality Bites,” “Romy and Michelle’s High School Reunion” and “Mystery Men.” The actress also co-authored the best seller “Feel This Book,” with Ben Stiller. In addition to acting in film and television, Garofalo is an outspoken activist, spoken word performer and stand-up comedy entertainer known and respected around the world. She was instrumental in the successful launching of the first liberal radio network, Air America Radio, where she hosted her own talk show, “The Majority Report”. A lightning rod for controversy, Garofalo’s well-informed opinions and unflinching honesty have inspired laughs, as well as striking a chord with the left, right and everyone in between. Bringing a focus on healthy eating, kale chip snack company Kulture Superfoods took home $5,000 at Trout Tank: Food Frenzy, presented by Denver-based restaurateur and airport concessionaire Mission Yogurt, Inc. and the Denver Metro Small Business Development Center on Dec. 1 at The Denver Post amphitheater. Kulture Superfoods owner and founder Mike Milakovic and the other contestants, which included Komotodo Sushi Burrito, Just BE Kitchen, Petey Bird and Mac ‘N Noodles, presented their business plan to investors and lenders, as well as a panel of judges comprised of restaurateurs and industry experts: Mark Berzins of Little Pub Company, Pat Miller of Gabby Gourmet, Chef Dana Rodriguez of Work & Class, Rod Tafoya of Mission Yogurt, Inc. and Chef Alex Seidel of Fruition and Mercantile Dining & Provision. Komotodo Sushi Burrito took home the People’s Choice award, which included a membership to the Denver Metro Chamber of Commerce and a year of free classes at the Denver Metro Small Business Development Center. For Tafoya, president and owner of Mission Yogurt, Inc., funding innovative restaurateurs is a personal passion. Twenty-five years ago, Tafoya started with one small restaurant concept that has since grown into more than 20 concepts across three international airports. “I am proud to partner with organizations like Denver Metro SBDC to support these local entrepreneurs in their food and beverage industry endeavors,” Tafoya said. “This kind of event is really one-of-a-kind, and I’m honored to help Kulture Superfoods expand its business. “I want to extend a big thank you to the Denver Metro SBDC and Mission Yogurt for putting on an amazing event, and for giving ‘the little guys’ like me a chance to shine, and an opportunity for success,” said Milakovic. 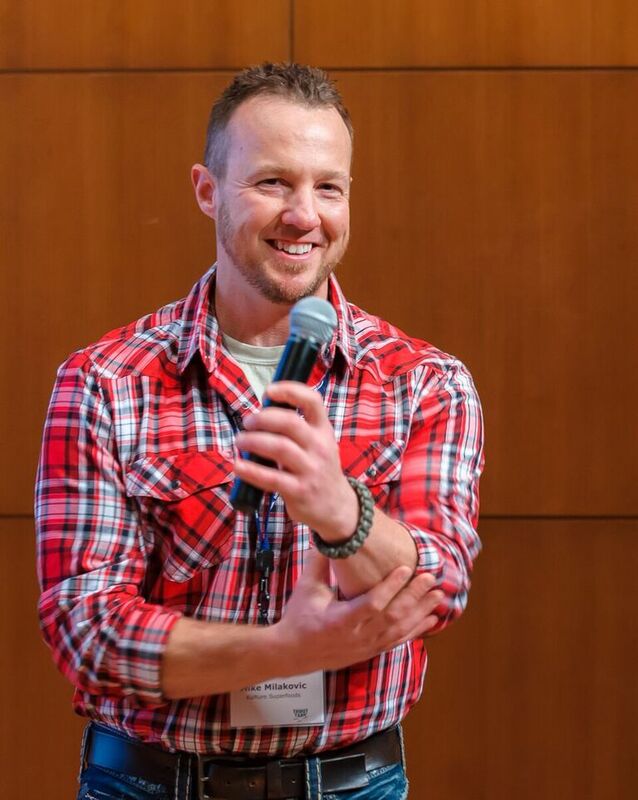 The Denver Metro SBDC, an affiliate of the Denver Metro Chamber of Commerce, launched Trout Tank in January as a pitch event to connect entrepreneurs with potential funders. The Food Frenzy edition will mark the first industry-specific Trout Tank. Learn more and register to attend at www.trouttank.com. 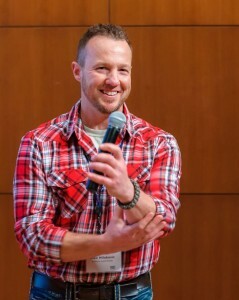 Kulture Superfoods founder and owner Mike Milakovic. “I told her that I felt horribly about the animosity that is being directed at her community and that I loved her and all my friends felt the same way. I told her I was ashamed of Donald Trump and that I was so sorry. “I told her that hundreds of thousands of people felt the same way I did. She cried. She stood there and cried. She told me she came to America 27 years ago after 6 of her family had been killed in Afghanistan. “She told me she loved this country and felt welcome and happy here up until the last few months. She said that people now look at her differently and she feels afraid. She cried all through the conversation. We hugged. A story to think about especially at this time of the year. Thanks for sharing, Lannie. 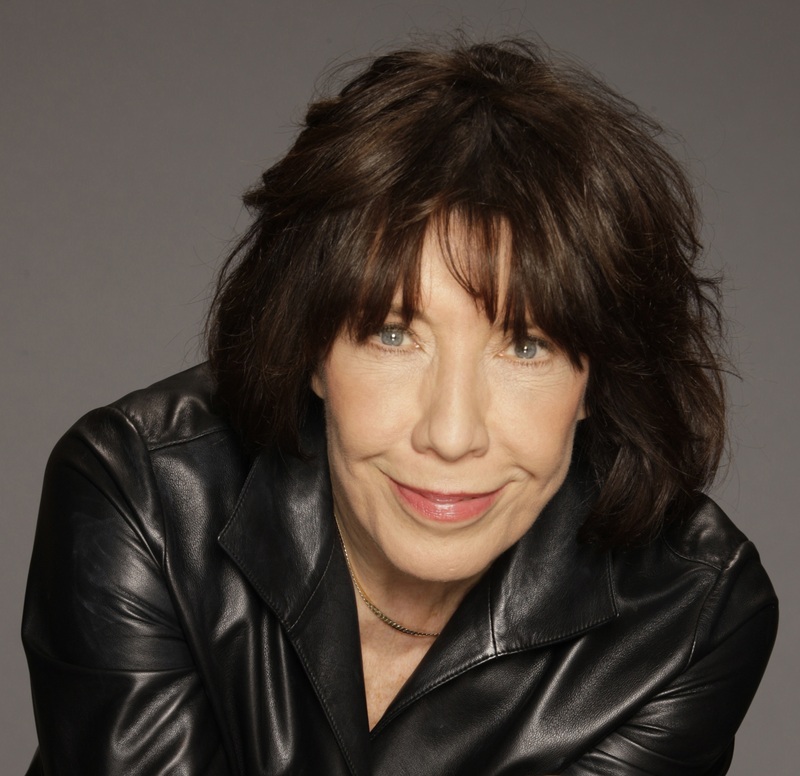 Tickets are now on sale for an Evening of Classic Lily Tomlin, spanning the career of the multi-talented performer, at 8 p.m. April 23 at the Paramount Theatre, 16th and Glenarm streets. Doors open at 7 p.m. Inspired by early comic pioneers like Lucille Ball, Bea Lillie, Imogene Coca and Jean Carroll, Tomlin left college to pursue her dream and fine-tune her craft starting in local coffee houses, then moving on to New York landmark clubs, building along the way a strong following. In 1966 she made her television debut on “The Garry Moore Show” and “The Merv Griffin Show”, before joining, in 1969, the top-rated cast of “Laugh-In” where she rose to national prominence with her characterizations of Ernestine, the irascible telephone operator, and Edith Ann, the devilish 6-year-old. She went on to co-write and star in six comedy television specials, and has guest-starred in numerous television shows including “Homicide,” “X-Files,” “Will and Grace,” “Murphy Brown,” “The West Wing,” “Malibu Country,” and her new series, “Grace and Frankie” co-starring with Jane Fonda. Reserved seating is $48 – $95 (plus service charges). Tickets are available at www.altitudetickets.com/event/lily-tomlin-4660/ or by calling 303-893-8497. The Inverness (200 Inverness Dr. W., Englewood) is hosting Breakfast With Santa from 9 to 10:30 a.m. Dec. 19. Guests can enjoy breakfast at The Garden Terrace with face painters, balloon artists, and of course, Santa. The cost is $15.95 for adults, and $10.95 for children under 10 years of age. Reservations are encouraged and can be made by calling: 303-397-6411. Colorado Homes magazine has captured the Christmas season with a feature story about an original Christmas tree art installation at the iconic Sleeper House in Genessee. The magazine article says, “If you’ve ever driven up 1-70 from Denver to the mountains, you’ve seen the Sleeper House, more formally known as The Sculptured House — that spaceship-esque residence built almost as if an extension of Genesee Mountain. The distinctively elliptical home was crafted by architect Charles Deaton in 1963 and went on to be featured prominently in the 1973 Woody Allen sci-fi comedy, Sleeper. “Well, Matthew Bliss, creator of The Modern Christmas Tree, has stepped inside the Sleeper House for a noble cause. A portion of every sale of his lightweight-acrylic, A-frame Christmas trees goes to the Alzheimer’s Foundation of America — a cause close to home. Bliss created The Modern Christmas Tree company in tribute to his late grandfather, Lawrence “Bud” Stoecker, who was an architect and engineer before battling Alzheimer’s later in life. Each tree includes an LED light, rotating mirror ball, ornament options, and installation kit. Prices range from $299 to $799. For more of the story, go to www.coloradohomesmag.com/Home/The-Sleeper-House-All-Decked-Out-for-the-Holidays/#.VmcWGIplT_k.facebook.